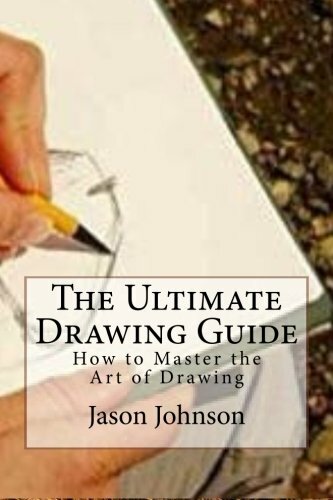 [PDF] The Ultimate Drawing Guide: How to Master the Art of Drawing | Free eBooks Download - EBOOKEE! Description: Anyone can learn to draw if you show him the basic techniques and incentive, Learn how to draw and improve your drawing skills in a relatively short time on this site. No matter whether you are a beginner, hobbyist artist or art student here you will find all the free techniques and a lot of tips on how to successfully master this skill. 2017-10-24[PDF] The Ultimate Kickstarter Guide: How my project raised 784% ! 2017-10-11[PDF] Raspberry Pi 2: The Complete Step-by-Step Beginners Guide - How To Master Raspberry Pi 2 & The Best Beginner Friendly Projects To Start With! 2017-10-22[PDF] Speed reading. Simple guide: How to increase your reading speed in less than 1 hour. Become the reader #1. No comments for "[PDF] The Ultimate Drawing Guide: How to Master the Art of Drawing".